This New App From Petronas Can Help You Skip Morning Queues! What a time to be alive - we Malaysians are spoiled with choices when it comes to e-Wallets for all kinds of payments. 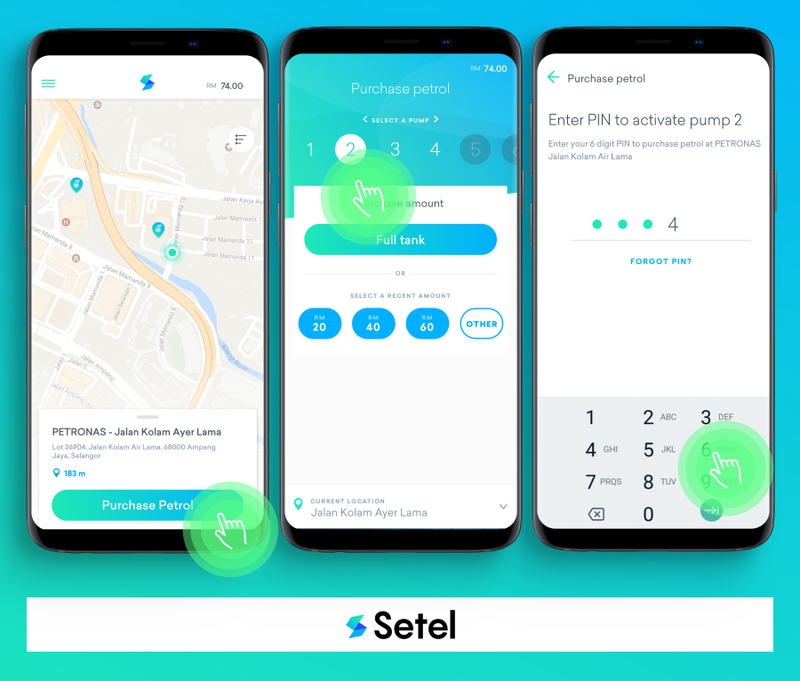 Now, Petronas too has joined in the fray and launched their own e-Payment app, Setel, that enables you to pay for fuel at selected Petronas stations without even leaving your car! First off, you’ll need to download Setel app onto your smartphone at absolutely no cost. Don’t worry iPhone users, you can find this app on Apple Store for free too! Once you’re done with that, you’ll go through the standard registration procedure including mobile number verification. After that, you can choose to either link your credit/debit card to the app, or manually top-up your Setel app through online bank transfers from as low as RM1. 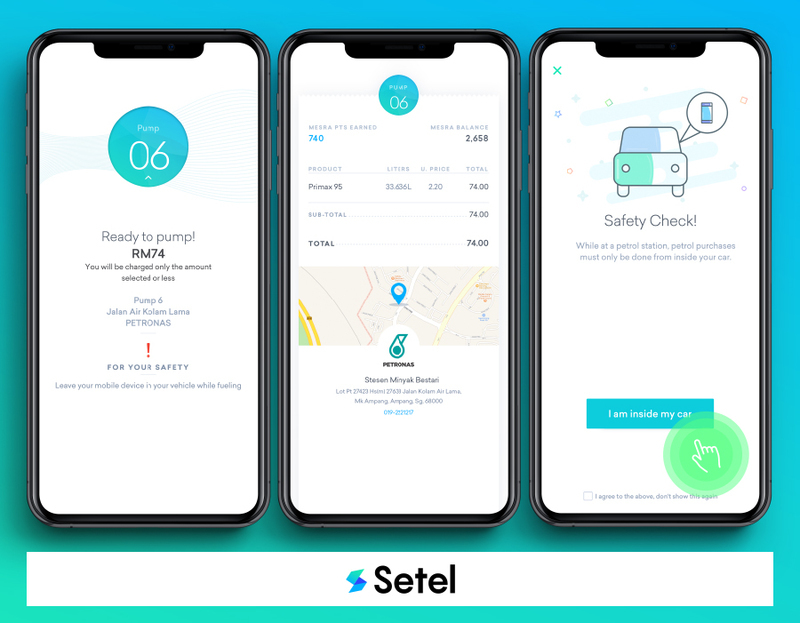 Here comes the good part; Setel uses a GPS location service that instantly locates your exact location when you arrive at a Petronas station that supports the app, without having to leave your car! The ‘Purchase’ button will be enabled once it detects that you’re at a supported Petronas station. All you need to do then is just select the pump number and either key in the amount of which you want to refuel manually or click on the ‘full tank’ option to keep your car well fed for the long journey. What really sets this app apart than the other e-Wallets in the current market is that it doesn’t require a physical QR code scanning at a cashier (you know, that weird pixelated looking image which looks like it came from The Matrix). Once you’ve made the payment over the app, the pump will automatically dispense the purchased fuel amount. This is where it gets fun if you refuel with your kids or friends - is it Harry Potter magic? Is it sorcery? Is it… Setel-ed? (Yes, we went there). What’s more, it can help you navigate your way to the nearest Setel supported Petronas station via Waze or Google Map! Setel is only supported at selected Petronas stations for now, but we’re hoping they’ll soon extend the service to all other Petronas (and maybe even non-Petronas) stations. Take a look at Setel's website for a full list of the supported Petronas stations. Hold it, before you get into your keyboard warrior mode, know that the app is safe to use at petrol stations. During the transaction on the app, it will remind you to stay in the car when making payment and to leave your smartphone in the car when refueling! Did you know that if you register as a Setel user before 2nd December 2018 and refuel your car at least 3 times at a minimum of RM30 (each time) within 30 days, Setel will give you 10% rebate? It’s an awesome way to get more for what you spend on fuel! Learn more about this promotion on their website. I came, I pay on Setel app, I refuel. This app is the holy grail for us lazy busy people, gone are the days when you need to spend 10 minutes to withdraw money at the ATM to refuel, then spend another 5,10 minutes queueing up at the cashier to PAY for the fuel. Remember the old days when you have to pay with your debit card for whatever reason and get crazy annoyed when your bank witholds RM200 from your account as a security deposit? Summore need to wait 3 working days to get your money ‘released’ by the bank! Well, all that is history when you use Setel. Okay we’ll add a few more words; it’s paperless, so you can start that zero waste life for real. Also, making travel claims has never been easier, all you need to do is view your refuel transactions via Setel on your smartphone! We don’t know about you, but for some people here at Loanstreet, they ALWAYS forget to use their Mesra card when refueling. All those precious points, wasted *sobs*. If you have a Setel account, you can link it to your Mesra card and your points will be auto-credited to your Mesra account. Every. Single. Time. Have you tried this e-Payment app? If you have, do share your experience by commenting on our Facebook post! If you haven’t, there’s no time like the present.